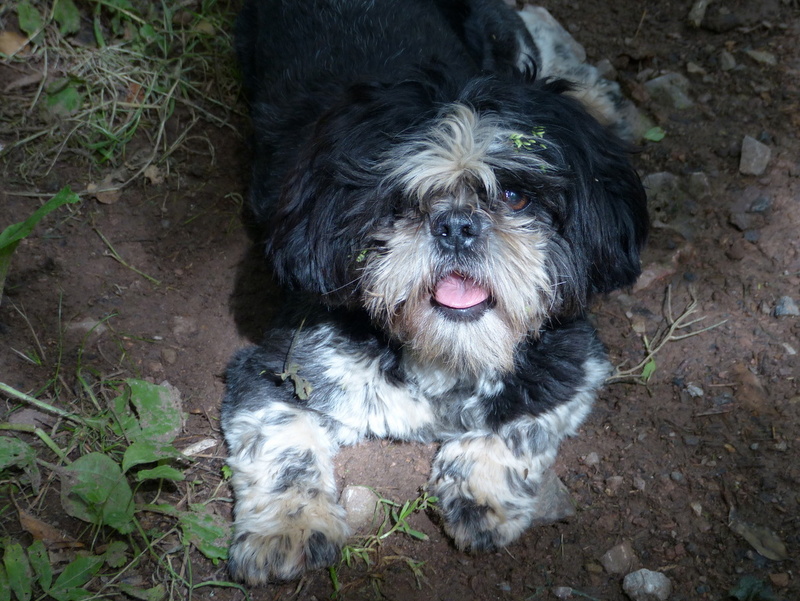 As we have the run of the place this weekend Fizz has been showing me around her estate. This garden is on the opposite side of the house to my flat and I don’t come here often. 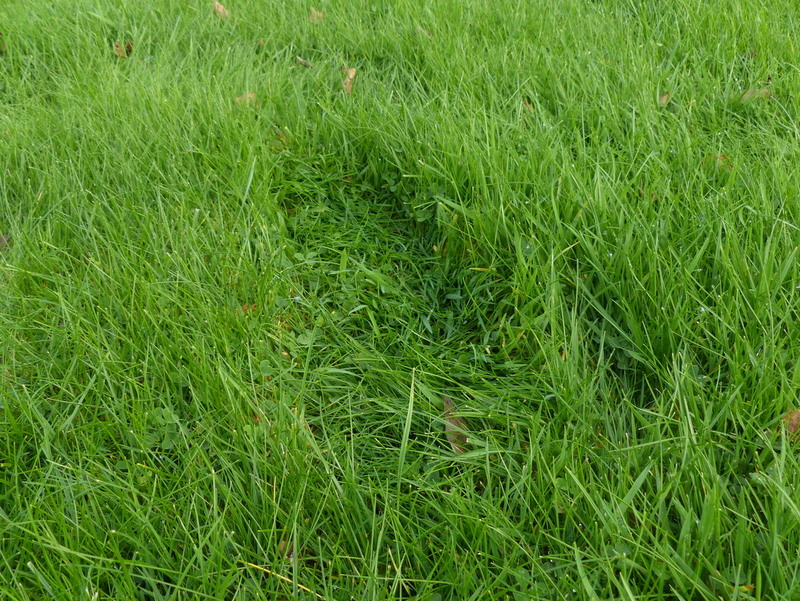 This is a lovely thick mossy lawn that you sink into and leave footprints. 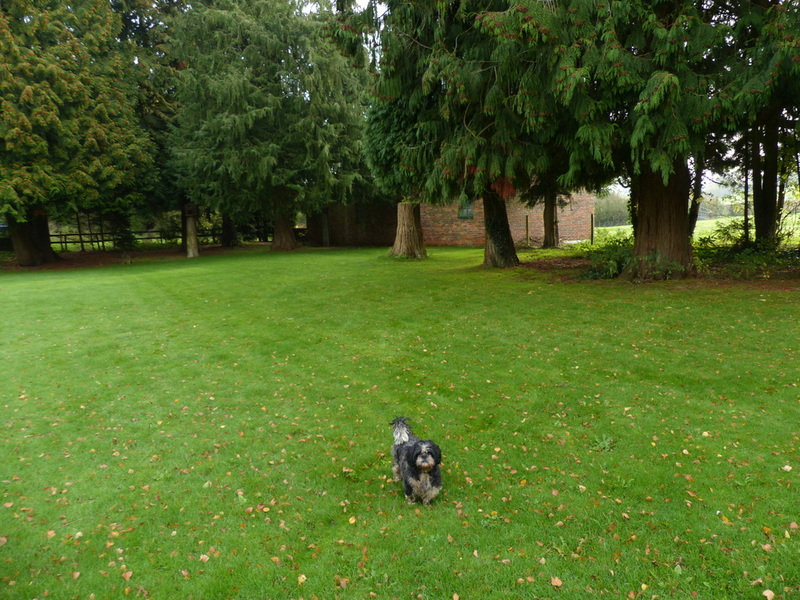 It is mown regularly with one of those drive on lawn mowers but there is a thick bed of moss under the grass. It is full of mushrooms. Thank you for showing me this Fizz. This is a really nice piece of grass. 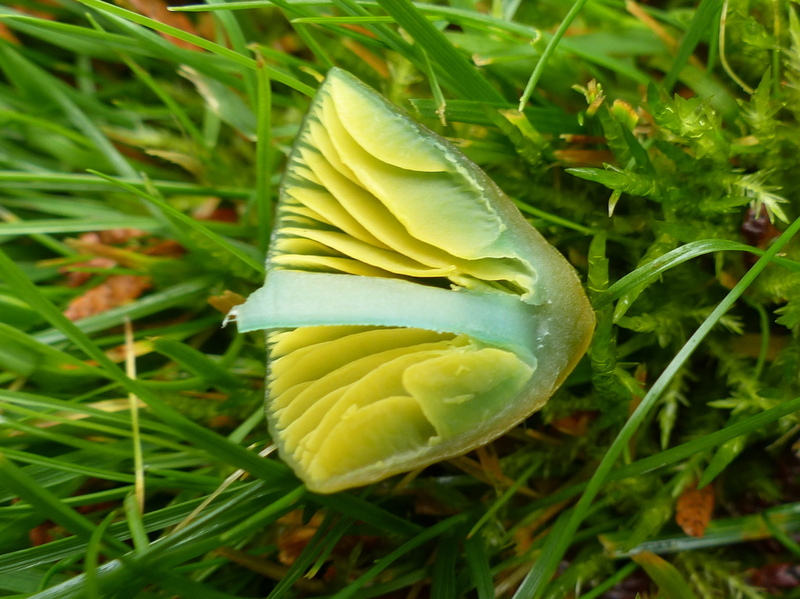 I expect that we will be having a look at some of these mushrooms in more detail over the next few days. I am going to start with this one. 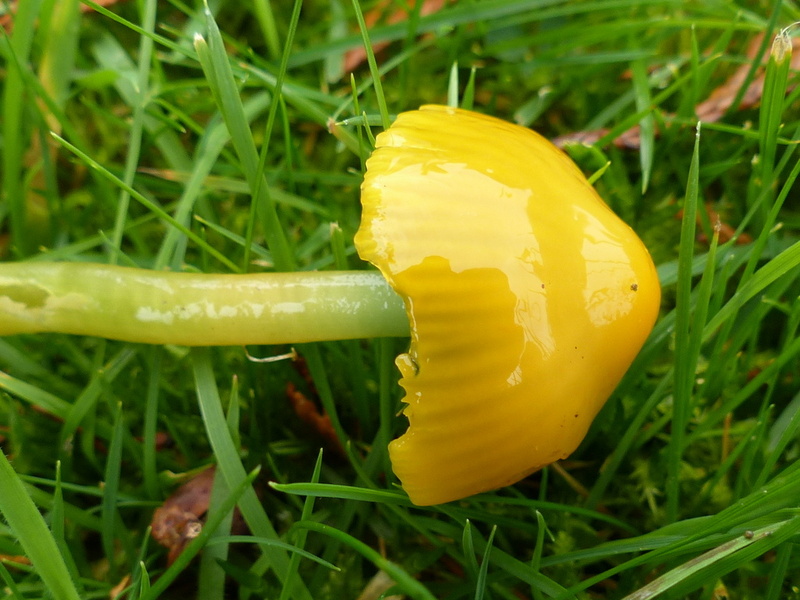 This is called a Parrot Waxcap, Hygrocybe psittacina. 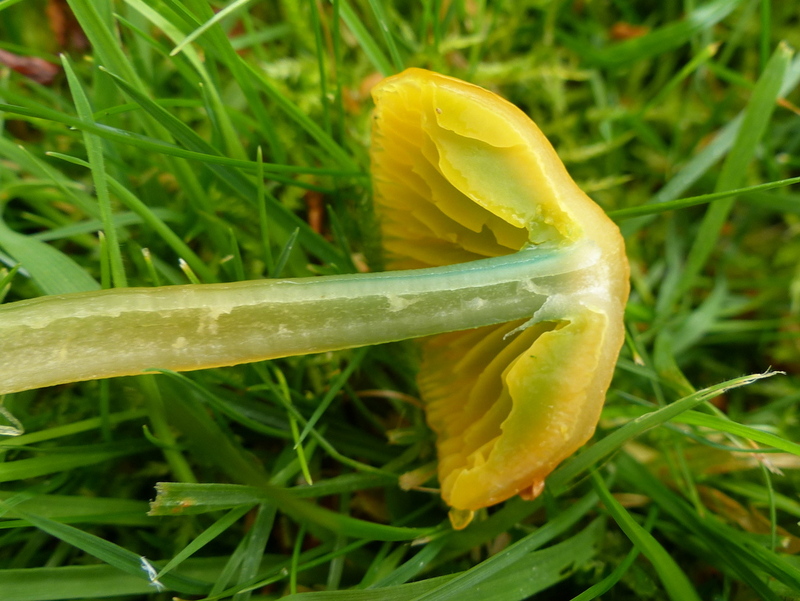 It is one of the easiest Waxcaps to identify. Well it is parrot coloured. 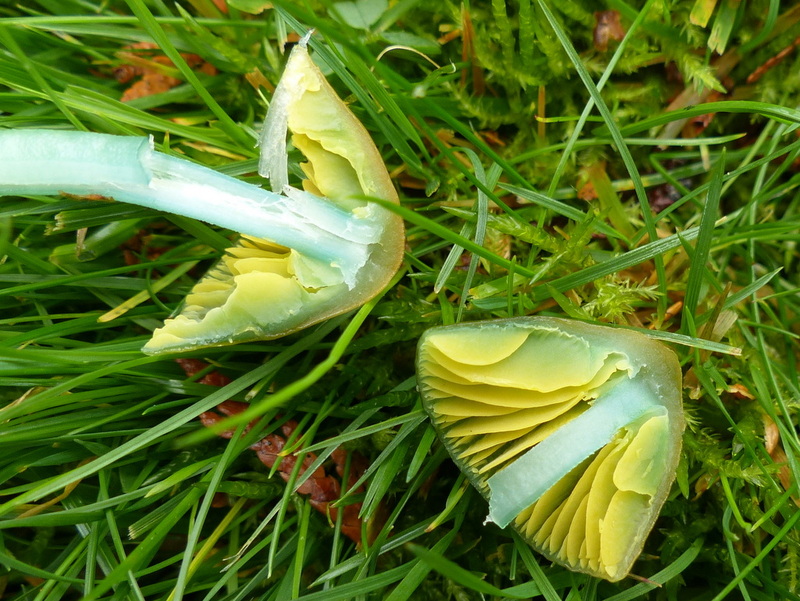 Most Waxcaps are edible but nothing special. 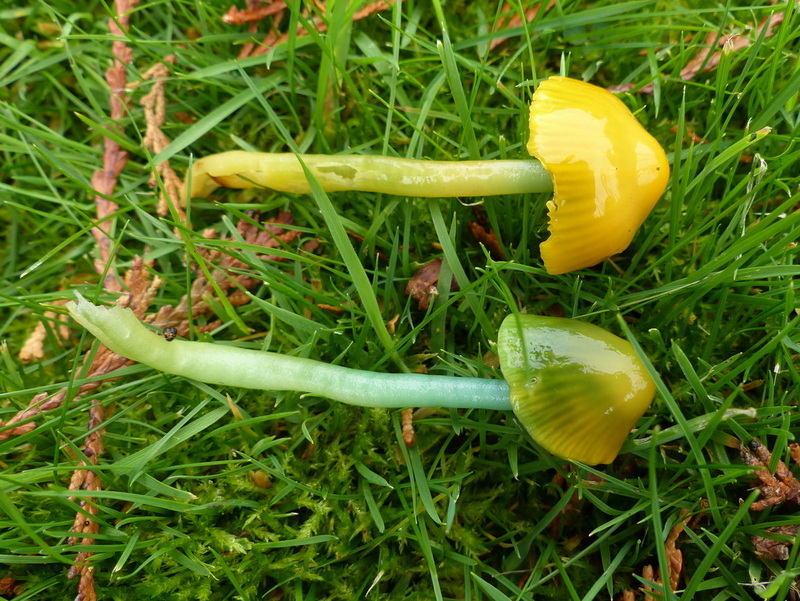 They don’t taste particularly good and many of the species are quite rare, for this reason it is generally frowned on to forage for Waxcaps. 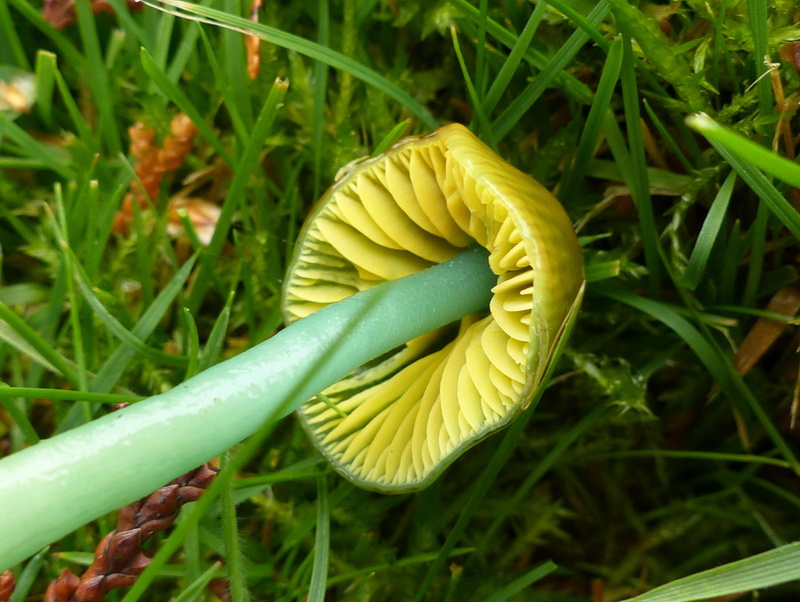 They are often slimy as well, so a bit off putting. There is no good reason to eat this one. 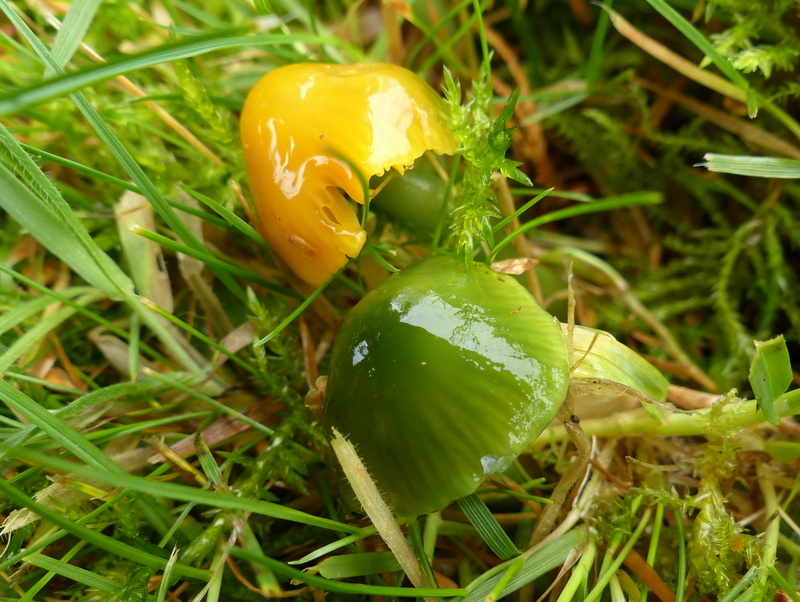 However the Parrot Waxcap is one of the more common ones and so I am going to cut a couple open and have a proper look at them. Those colours are real by the way. 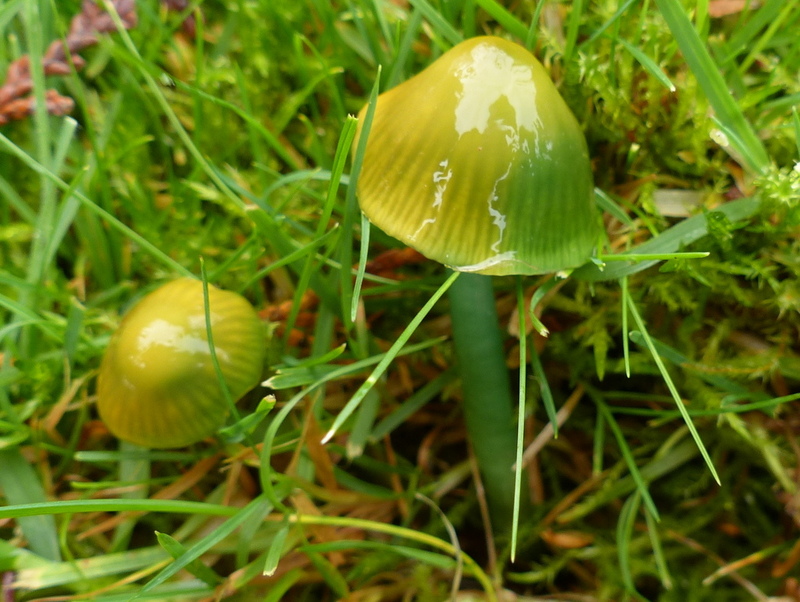 It is a beautiful little fungi that could almost certainly learn to repeat things that you said to it, given time. Unfortunately the fruits don’t last long enough to learn things like that. 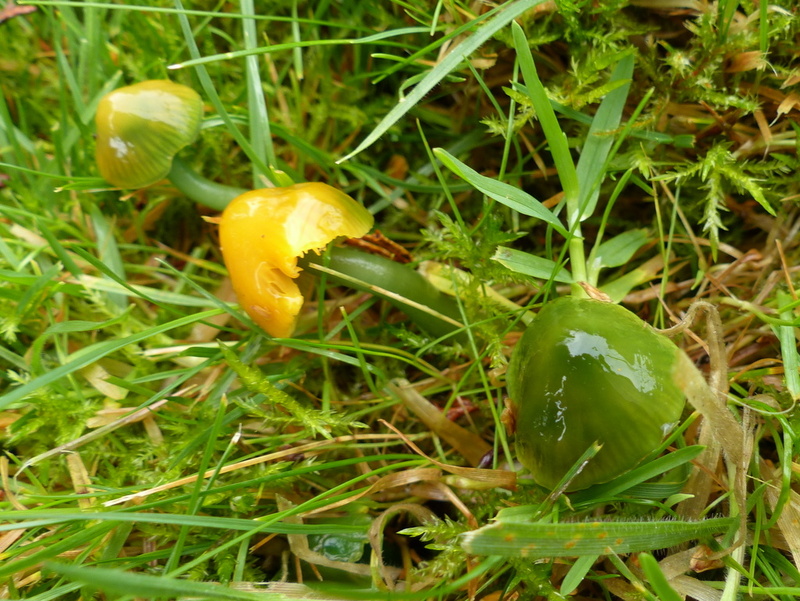 These Waxcaps are regarded as an indicator of grassland quality. 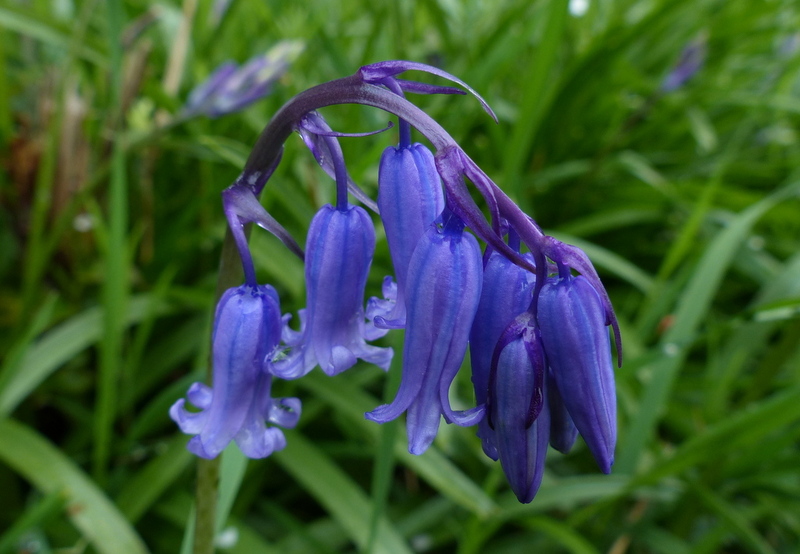 I have heard that they can only appear on grassland that has been maintained and unimproved (unfertilised) for at least thirty years. Natural grassland. So Fizz’s grass is good grass. 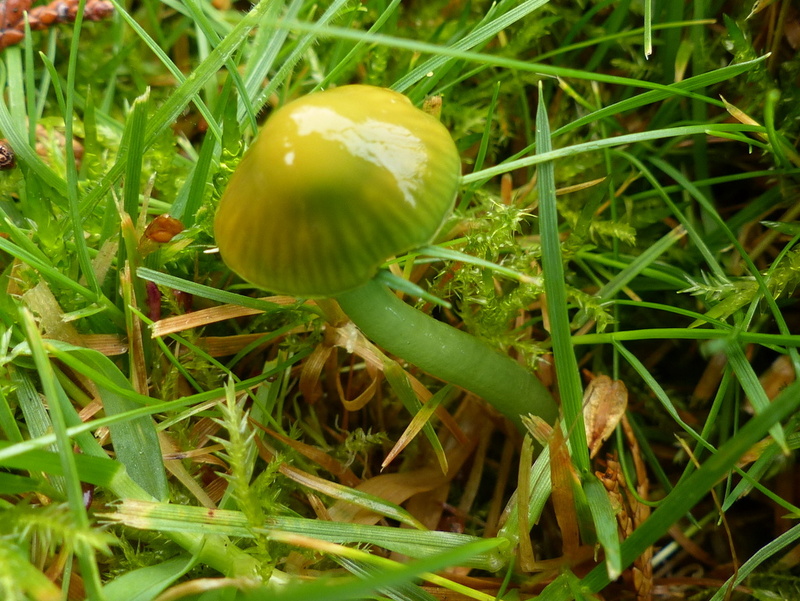 As to what they are doing here, it was long believed that they were saprobic on grass roots but the thinking these days is that they have a mutually beneficial relationship with mosses. That would make good sense this is very mossy grass. Previous PostPrimrosesNext PostIs this Blue? They do kind of look like they’ve been dipped in wax. Thank you RR 🙂 It is a lovely lawn. 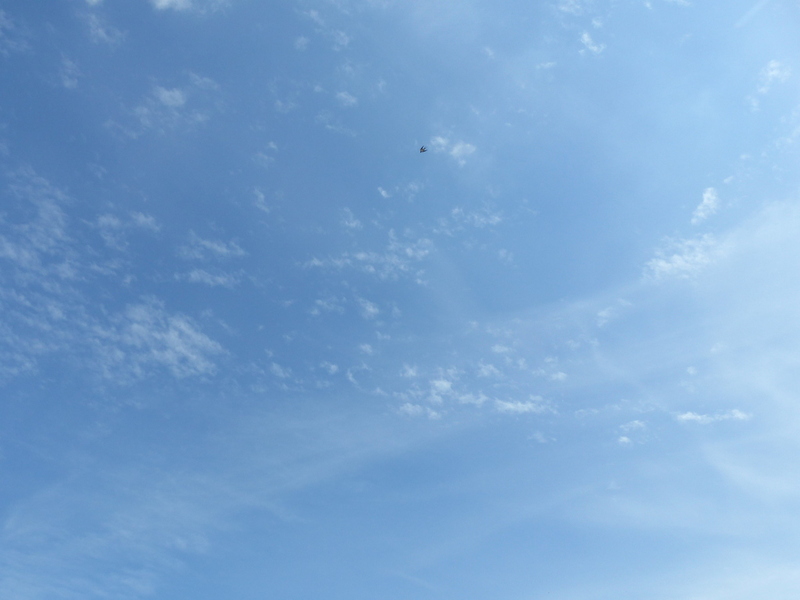 I just wanted to say that your blog is delightful. I’m always glad to see a new post pop-up in my Reader. Keep up the good work! Thank you Mark 🙂 A very kind comment. Fascinating, really. 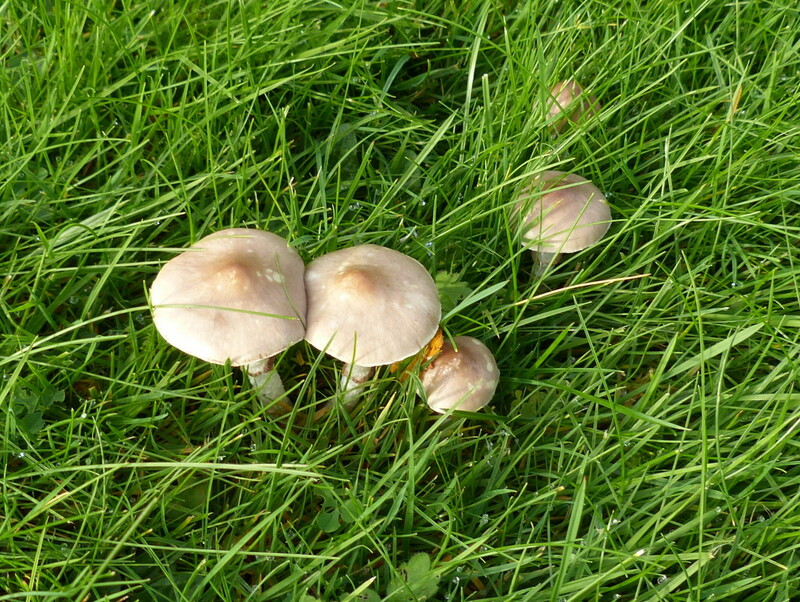 I’ve never heard of mushrooms like this. They’re quite beautiful with an almost glass-like Chihuly quality. I’ve never seen one of these. They are very beautiful and I wouldn’t want to eat one. Thanks Clare 🙂 They are mainly found in the west here and particularly Wales. 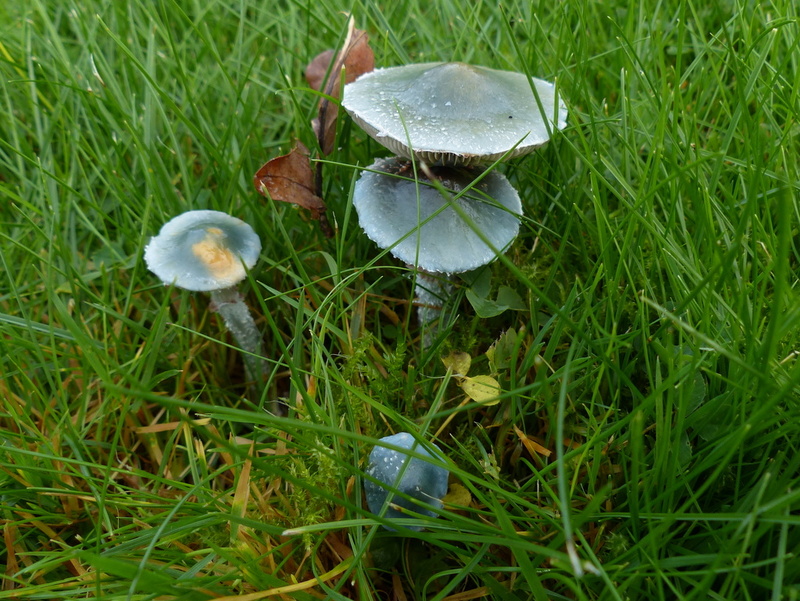 They are probably very rare in Suffolk, if there at all. 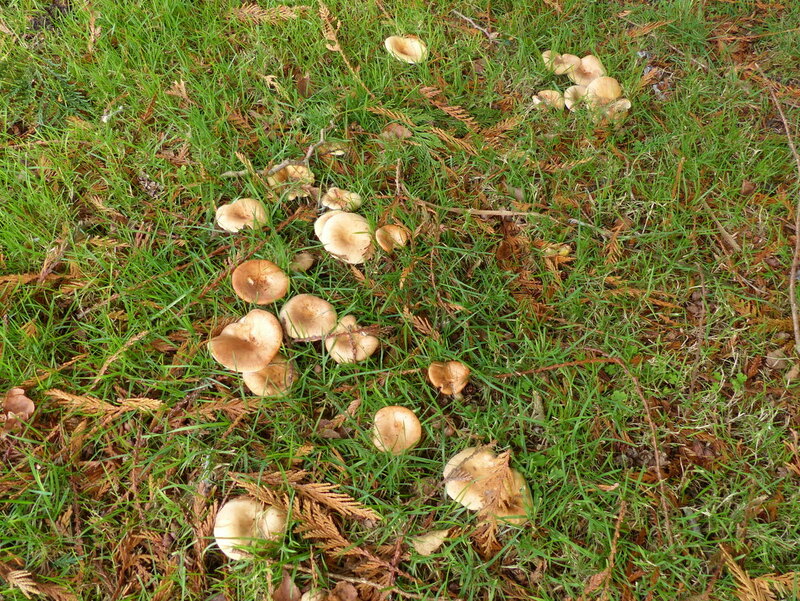 You’ll figure out what the next fungi are going to be. You’re a scientist! 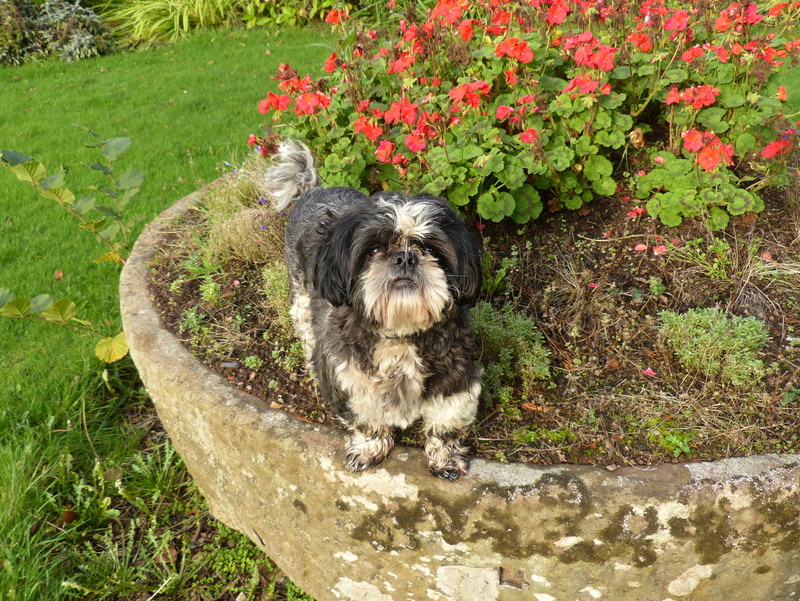 Guard that dog………..and no sheep rolling either! 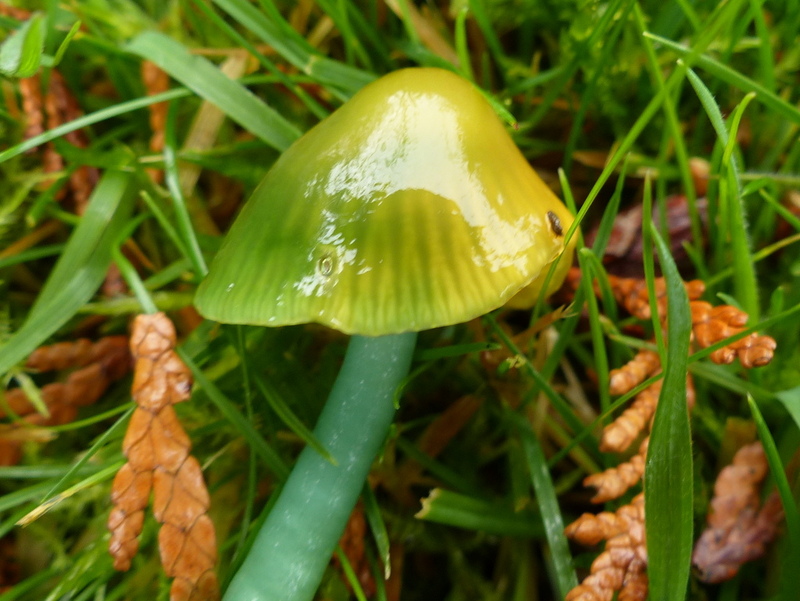 Thanks Sarasin 🙂 As always Fungi ID is proving a challenge. Does it shout Pieces of Eight if you approach it? Aha Jim Lad. Treasure Island and Cap’n Flint.